So if my rule of thumb is that AFLW teams need to improve twenty percent each year to hold their position in an improving league, how can I justify predicting the Dogs going back-to-back? 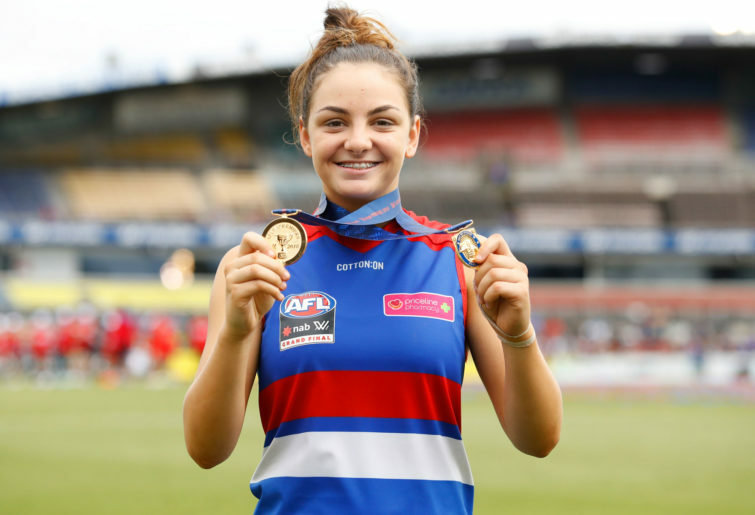 After all, the Dogs lost league MVP Emma Kearney, the engine of their midfield, along with useful support midfielder Jenna Bruton and ruck/forward Asta O’Connor – plus, winning the flag last year, they did not have the highest picks in the draft. 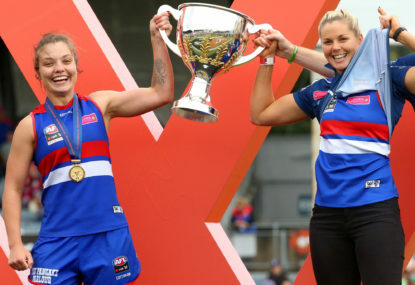 Well firstly, it must be recalled who the Bulldogs won that title without the two biggest names in their forward line, Katie Brennan and Izzy Huntington, who were both missing for half or more of the season, including the business end. Assuming both are fit this year, that’s enough to offset all their losses and then some. The Dogs have also made a habit of recruiting players with enormous upsides. Emma Mackie, former cyclist and recent football convert, is just coming off an enormous VFLW season for Hawthorn, and appears to be improving by leaps and bounds. Fellow mids Naomi Ferres and Angelica Gogos are also on an upward trajectory, as are utility and former netballer Bonnie Toogood, hockey player Aisling Utri, and former ice-skater turned terror of the forward line Brooke Lochland. 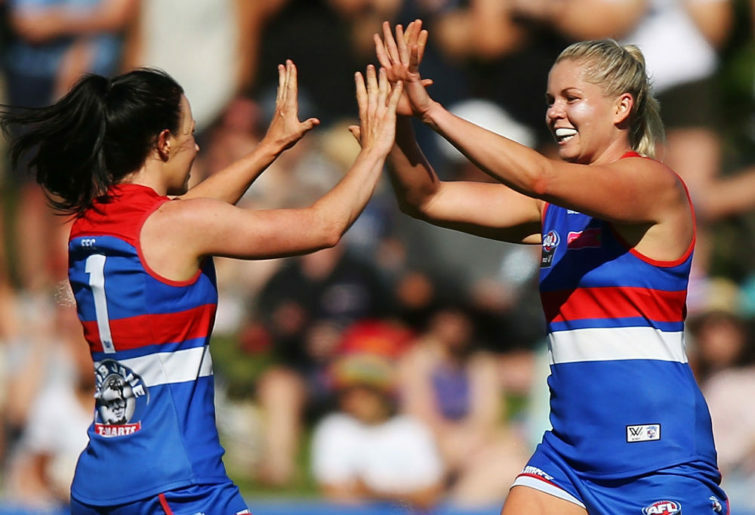 Even star defender Libby Birch is still only 20 years old, and has been playing for less than three years, and a similar story holds true for much of the Bulldogs’ lineup. This year it’s not unrealistic to expect a twenty-percent-plus improvement from all of them. Secondly, the Dogs have managed to recruit some intriguing players in the offseason despite their meagre draft numbers. First pick Eleanor Brown is another recent football convert, this time from an athletics background — her skills sometimes look a little ungainly, but she’s tall for a midfielder and can run all day, frequently having her best periods in the last quarter when everyone else is gassed. Aisling McCarthy is an accomplished Gaelic footballer, and given Cora Staunton’s immediate impact last year for the Giants, there’s no reason to believe she couldn’t do something similar for the Dogs. McCarthy’s not as big as Staunton, but the Dogs have had great success with small, fast forwards like Lochland. Thirdly, the Dogs took Tessa Boyd, sister of Tom and former basketballer. If she’s anything like the athlete her brother is, she could be exactly the kind of code-hopping player the Dogs have had such great success with in the past. And lastly, the Dogs took 18-year-old Kate Bartlett, who has been the outstanding junior forward in Western Australia for the past couple of years, only to be completely ignored by the Dockers. 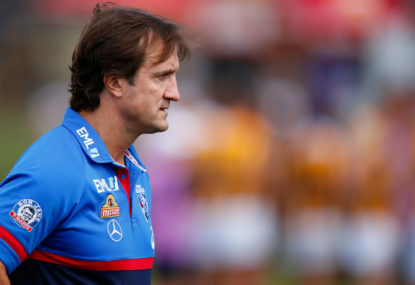 Likely the Dockers think she’s not quick or strong enough to be a key forward in the AFLW, and it’s possible that they’re right – but evidently the Bulldogs coaching staff think differently. Add up the past few years’ success of the Dockers coaching staff, and compare that to the Bulldogs’, then judge who you think is most likely to be correct. 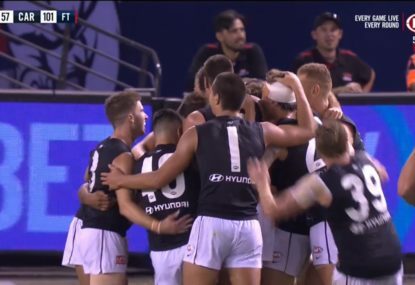 If at least some of these new recruits pan out, the Bulldogs look absolutely loaded in the forward line, with Brennan, Huntington, Lochland (who kicked seven in one game last year, don’t forget), McCarthy, Toogood and various goalkicking mids. And their backline is similarly loaded, with Lauren Spark and Tiarna Ernst both playing vital shutdown roles on opposition talls in many games, plus the dynamic Libby Birch, the powerhouse Hannah Scott and the zippy Nicole Callinan. Midfield, of course, is the one area where concern still remains, because no matter how much the likes of Mackie, Ferres and Gogos have improved, if everyone plays in the same positions as last year, the majority of the load will still be born by Ellie Blackburn and workhorse Kirsty Lamb. Eleanor Brown is exciting, but she’ll never be an inside mid, and Lamb, while a powerful inside worker, lacks the skills to be compared to the league’s A-graders. And so, here is where I resume my favourite theme from last year — if the Dogs are to be competitive in the midfield (where AFLW matches are won and lost to an even greater extent than the AFL), they must move star youngster Monique Conti from the forward line to the middle. Without Conti, the Dogs only have one genuinely A-grade midfielder, and that’s Blackburn — Brown will likely become a second, but possibly not in her first year. 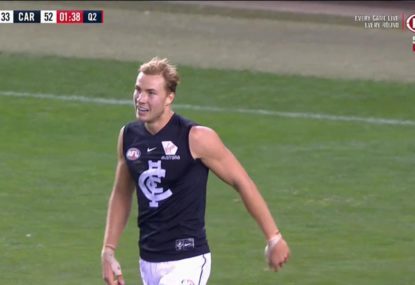 Elite as Blackburn is, it’s not enough, and having lots of good B-graders, as Carlton could tell you, only serves up more cannon fodder for the best midfield opponents to mow down. 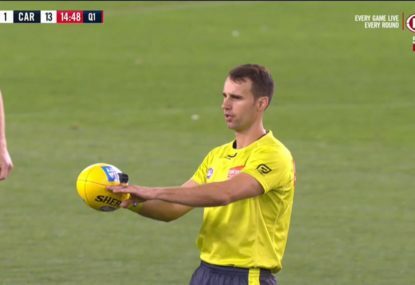 This year, teams like GWS will have as many as five A-graders, and you can’t win games by playing endless defence against all of them and struggling to win your own ball. With Conti, the Dogs will have two seriously A-grade onballers and a developing third in Brown — Conti’s agility is unmatched not only in AFLW, but possibly in Australian women’s sports. With her, Blackburn and Lamb working together to feed the ball out to runners like Brown, the Dogs should do okay against the league’s better midfields without necessarily pulverising them, and from there the greater balance and power on the rest of the field should make the difference. But I make a strong point of it because I sense that Coach Paul Groves is reluctant, loving the dynamism that Conti brings to his forward line. 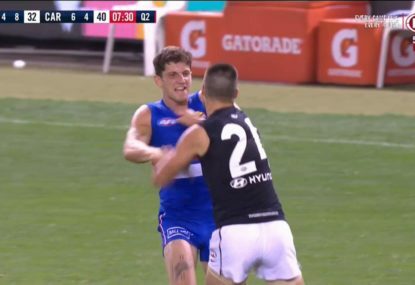 Given what’s happened to teams that have neglected midfield firepower so far in the AFLW, if Groves persists with a Conti-less midfield, my prediction for the Dogs falls to… well, if your midfield can’t win the ball, any and all games are losable regardless of a team’s overall talent. But if Groves puts Conti on the ball where she belongs, the Dogs will have a better balance of talent across all parts of the ground than any other team in the competition. Luck and injuries allowing, they remain my pick for 2019 champions. No loyalty in AFLW? What sport are you watching?